“The first demand is actually to stop Tihange 2, because there are many, many fissures in that power plant and it's not secure,” Rodrique Dumas, protester and Huy city council member for the Green Party, told RT’s Ruptly video agency. — Petroesjka Sterk (@PetroesjkaSterk) 25 июня 2017 г. 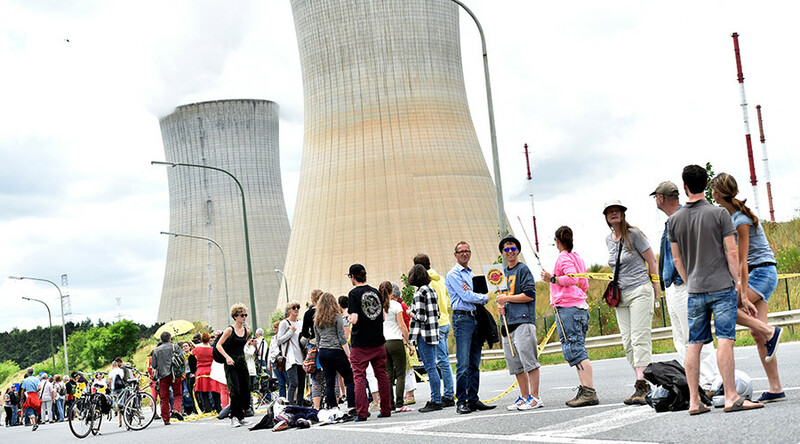 The units in question at Tihange and Doel nuclear power stations went online in 1982-83 and “were not made to last so long,” another Huy city council member, Samuel Cogolati, added. “And we've been prolonging their life time, and this is extremely unusual. Actually, there are only nine nuclear plants in the world that have been lasting for so long,” Cogolati added. — Monika Schäfer (@MoSchaefer66) 25 июня 2017 г. #Tihange und andere Schrottreaktoren abschalten! — Torben Schultz (@TorbenSchultz) 25 июня 2017 г.